♥ That`s Better Products - Be Glossy In and Out! As the title says, That`s Better is not only a Greek company but also it symbolizes that their products are better. In my opinion they are superior to other cosmetic products tried by me so far. I was so thrilled with them that I decided to buy all the face care range. Good morning, good evening, good night... three simple expressions… and somewhere in between you feel something like the Bionic woman, Super Woman…. or even Cat Woman!!! That`s how That`s Better starts thir description. You wake up in the morning (even though you wish you could sleep a little bit longer) and the running begins! And it's not with your trainers for a jog...… Noooo! You have to wear your nice clothes, make sure you look good, organize your day, try to be the best mother, the best wife, juggling between work and kids to reach your goals. Who said that beauty has to be such hard work? That`s Better is the brand that loves you just the way you are. The secret of a fantastic look is called Acai Berry. That`s Better is promising to transform your face and body and bring out the best in you. After I had the opportunity to test them, I can honestly tell you that they are very quality products, parabens free and I was shocked to see what wonder they made for me even after the first application. I was the most impressed by the scrub, after the first use it let me a very smooth and brighten skin. The daily cream is very moisturizing, exactly what I need for the winter season. After I applied it, even the foundation was looking different on my face, it was more uniform and resistant. The repairing night cream impressed me a lot, waking up next day with a fresh, rested and bright skin. The smoothness of the skin resisted all the time I used those products. I received 3 testers from each product (they don`t appear all in the picture), so I could use them from longer time and could make a good opinion about those products. Except their effects on the skin, I loved the funny description of every product. I find it very original. "I promise I`ll be gentle. Open up and let me in cause all the dirt needs to be cleaned!" 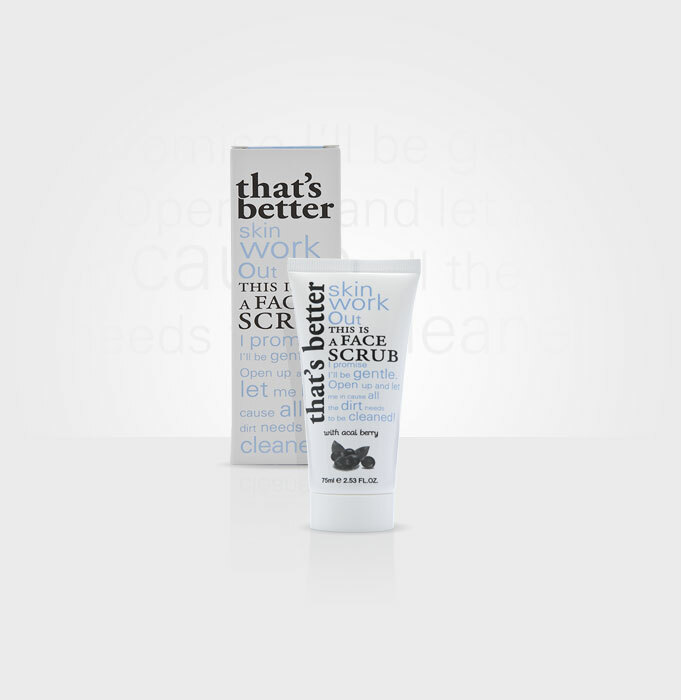 It is the best scrub I ever used so far. The effects are visible from the first use. Having microgranules, it is gentle having in its composition the vitamins B, C and E and the almond oil. Together with the face massage, it gives you the sensation of deep clean and, in the same time, hydration and gentleness cause of the almond oil. The smell is mainly of the almond oil. You apply it in soft circular motions for 1-2 minutes, avoiding the eye area. A more intense result can be achieved by using directly on to dry skin. You can use it two-three times per week. "Something to remember me by. Easy come easy go, cause all you`ll get is perfect glow!" It is a face and eye cream with an effective protection against UVA-UVB rays, it repairs damaged skin and it combats the visible signs of aging. It is a very moisturizing cream, perfect for the winter days, it is absorbed fast in the skin and it gives you a comfort sensation all day long. It contains various powerful peptides, vitamins C and E, Hyaluronic Acid, Maca extract and, of course, Acai Berry. My opinion is that it has the best ingredients for a face and eye cream, mostly that it reduces the appearance of fine lines and wrinkles resulting in firmer, glowing, healthier looking skin. You can see from the first use that the skin looks healthier and younger. "I promise you this. Dance and play all night long cause you can, I say so!" An ultimate night time skin repair remedy that instantly erases signs of tiredness all the while soothes and softens redness and irritation. Even with just a few hours of sleep, skin looks refreshed, invigorated and well-rested. Tetrapeptides enhance cellular DNA reconstruction and Acai Berry detoxify skin by replenishing moisture to the cells. Multifunction enzymes synchronize cellular cycle while Vitamin E and high quality Hyaluronic Acid combats free radicals. "I guarantee to get your skin noticed, cause we say bye-bye to dry. This is your time to shine!" It is a very firming and hydrating body cream. It has a nice smell and it is packed with antioxidants. Avocado oil and Shea Butter protects extremely dry skin from dehydration by restoring the skin. Vitamin E leaves skin soft and smooth while Acai Berry boosts the skin's firmness and elasticity, helping to reduce the formation of new stretch marks. It is perfect for use during pregnancy. Their site is in English also if you wish more information. Unfortunelly, for the moment they are commercialized only in some Greek pharmacies, so you can buy them only from Greece but I hope that soon they will also open an international e-shop. Except the testers, the photos source is here. Arata super descrierea!Chiar mi-ar placea sa le incerc si eu.Mai ales scrub-ul. I wish they had these products in my country!! Interesting products! Cute brand name. I wuld love to try them. Sadly it's not available yet here in philippines. I m following you now. What a cute beauty products!